Personal injury attorney Douglas Sparks has been representing clients in the District of Columbia metropolitan area for thirty-six years. In 1979 at age twenty-four, he was the youngest member of his class to graduate from law school, pass the bar exam, and be sworn in to practice law. During the 1980s, Mr. Sparks appeared in court thousands of times and defended criminal cases against some of the United States Attorney’s best prosecutors. He tried dozens of high stakes jury trials involving charges such as first degree murder, manslaughter, vehicular homicide, armed robbery, drug distribution, and conspiracy. 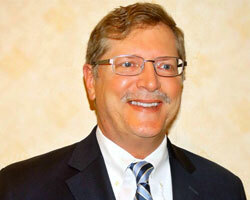 Washington, D.C. injury lawyer Douglas Sparks expanded his practice into personal injury and wrongful death litigation in the late 1980s, and by 1990 was focusing primarily on major personal injury matters. Today, Mr. Sparks is widely considered one of the District of Columbia’s premier personal injury lawyers, having won many newsworthy cases and recovering tens of millions of dollars for his clients. 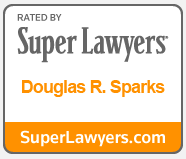 You can read about Washington, D.C. injury attorney Douglas Sparks’ cases in the news here, and you can read reviews from Mr. Sparks' clients and colleagues here.